A gentleman’s scarf is designed to last for many years, and during that time, it will consistently provide the neck with comfort, warmth and style. 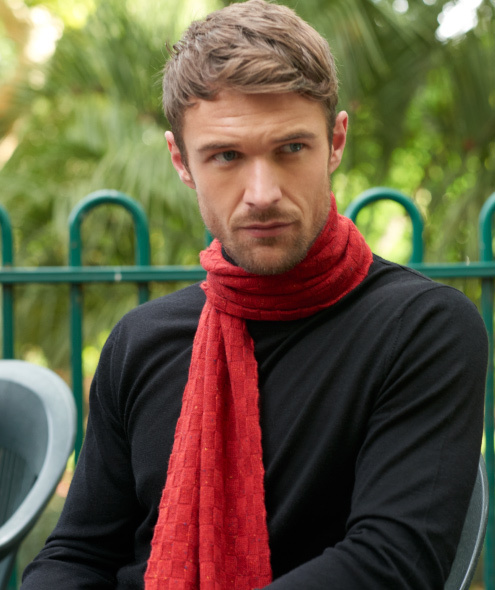 At MrQuintessential we believe there is no better quality for the winter scarf than pure cashmere. An investment in a high quality cashmere scarf is a smart investment for 2 reasons, style and comfort. In terms of style, the fineness of the yarn ensures that it’s not too bulky to wear with tailored clothing. In terms of comfort, cashmere material is soft, warm – and, importantly, will never prickle or chafe the skin. In comparison, other materials that are hand-knitted are too thick to tie neatly and anything super lightweight will fail to serve the essential purpose, keeping you warm. Just like all other accessories, your choice of scarf is very much a matter of personal taste. However, we believe that MrQ has a scarf for every gentleman. Our wide range of colours ensure you have a scarf for any occasion, whether you’re dressing casually on the weekend or complementing a smart business look. MrQuintessential’s cashmere scarves make for a thoughtful gift, especially when matched with our cashmere hats and gloves. With all our orders being beautifully gift wrapped by hand, your scarf will arrive ready for the Christmas morning festivities. For a limited time only, all MrQ accessories are 30% off in the winter warmers sale. So treat yourself, or someone special this Christmas, with the gift of luxury cashmere. Woven from super soft cashmere, the Wisp scarf has a beautiful handle and feels very tactile. This pure cashmere garment is crafted in a basket weave design, with a smart ribbed finish. The flecks of colour in the weave, really make this special, with the alternative colour of Russet also available.